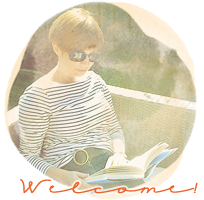 Today's the day to join in with Abi of Creating Paper Dreams and One Photo & Twenty Words. I'm sure she'd love to see you on board! You can find the other stories here. Come back tomorrow when I'll have a giveaaway for a free pass to a new journalling class My Details at Rukristin Papercrafts! Great photo & twenty words. Oh I remember those days when collecting things [treasures like an odd marble or something shiny!] became a Really Important Task. Love this! Always good to see little E putting in an appearance. I wonder what fabulous collections he will curate. My 20 words have been postponed until tomorrow as it's desk day here! And I'm sure he can work with it!! Is that the stable from your Nativity, by any chance?? Fab shot. There is no doubt he will work with it and then there weill another story to share then. Little E is always so darling and says the cutest things! I always love stories about Little E! There's nothing like an interesting box when you're a small boy with a big imagination! Ah! My post is also museum related! :P Yours is much cuter though!!! My 12 yr. old still loves to create things out of cardboard boxes! I love little E stories. What a sensible boy as museums are some of the nicest places to create. Oh he is just wonderful Sian. I think you should make a short book 'the world according to little E'. Thank you for making me smile with your few words and sweet photo. He wanted to make a museum? LOL. How CUTE is that?!?! Love this one, Sian. Terrific! I hope we'll see some shots of the museum when it's finished. You are the most awesome auntie ever! I wanted to make a museum too. Still do. What a great story! What kind of museum is he making? 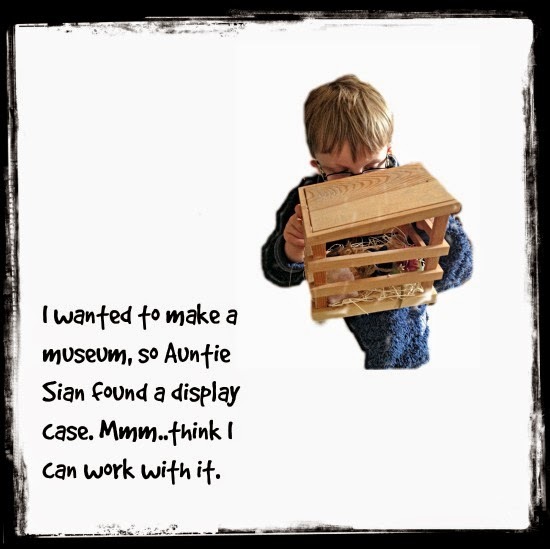 I love your nephew's mind, making a museum, what a cool idea! Little E is a blogger's dream. It's always fun to see what he (and his Auntie Sian) are up to!